The existing literature on the short- and long-run impacts of economic growth on income inequality indicates that positive and negative output shocks have worsened the income distribution in the United States. 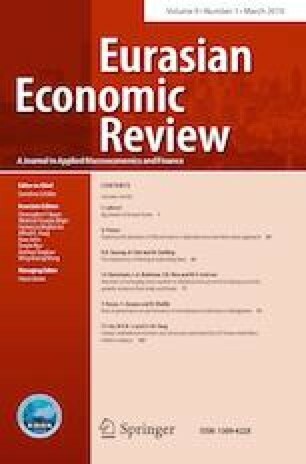 In this paper, we report our empirical examination of the opposite; that is, the impact of positive and negative income inequality shocks on the real output levels. Using the same time-series data, over the period 1917–2012, in a more comprehensive manner, by employing six measures of income distribution, we examined the impact of an increase/decrease in income inequality on economic growth, using the NARDL approach. The results provide evidence in support of a long-run asymmetric impact between income inequality and the real output levels, since the long-run coefficients of positive changes have positive signs, while the signs of those of negative changes are negative, indicating that a decrease or an increase in income inequality improves the real output level in the US.